Latest post Sun, Dec 9 2018 9:51 AM by CinéMatica. 1 replies. I'm adding a logo to an end credit roll, just like it is demonstrated in the video below. When I import or add the image, it is not showen in the correct way. The width and height are OK, but the logo is pressed 3 times in this box in the vertical way. Are there any restrictions to the size that can be used? The logo I want to use is 1012 by 216 pixels. I have been trying different formats like; jpeg, png, tga, but the result stays the same. Anyone else having this problem, or the solution to it? 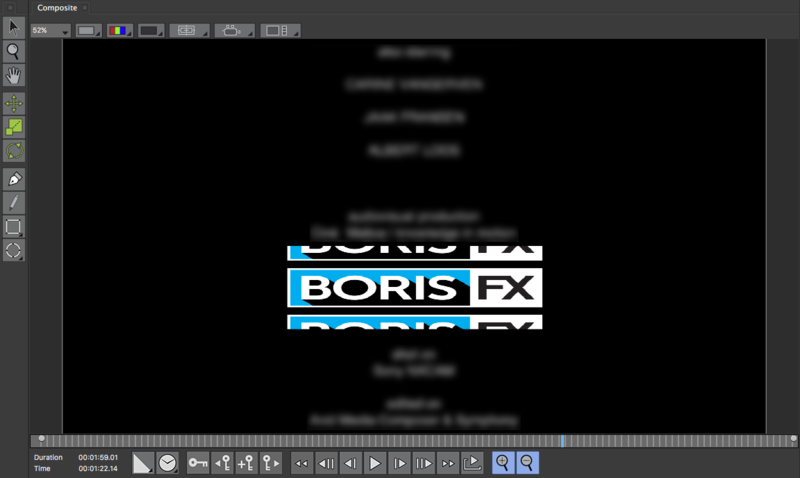 The Boris FX logo doesn't work either! The problem has been solved by installing the latest version (BCC AVX 10.0.6.2982 64-bit) of Boris Continuum Complete 10.